Craftin Desert Divas Blog: Teenage Dream - #Awesomity"
Craft It Up Linky Party (brads, buttons, ribbon, and twine). Teenage Dream set, but sure do love them all! Be sure to get your stamps today (click here to shop)! 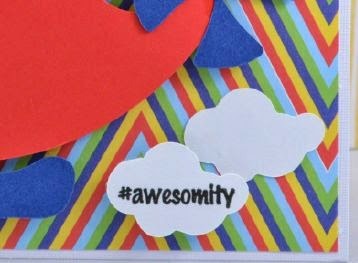 so why not coordinate it with an #awesomity stamp! Bright primary colors, floating clouds, and a couple sparkle dots. Little Scraps of Heaven helicopter was cut on my Cameo. Be sure to stop by Carson's Creations for more details. Georgina this is sooo cute! 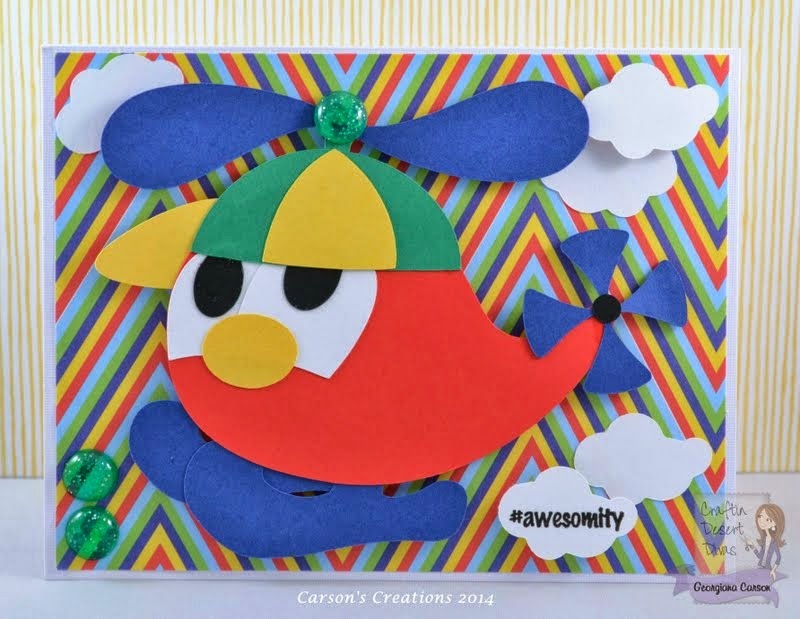 Fabulous card, love all of the fun colors! The sentiment fits perfectly!